Dancin' (Original Demand Mix) is the best track of this EP. It features many samples from Eurythmics (vocals) and Prince (intro gimmick taken from Get Off remixed by Steve Silk Hurley) to name a few. This EP is a must have just for this song, it's an alltime House classic. All I'm Asking is also a nice track, featuring many samples too. 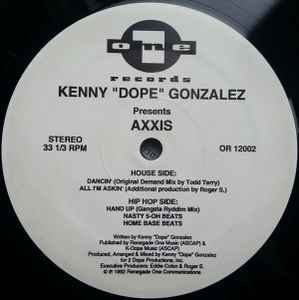 The Hip Hop side presents Hip Hop tracks like K Dope uses (used) to do (close to what he did on the first MAW album).